In my continued quest to prove you can where a hat anywhere, I whipped myself up a fun little fascinator for a recent whirlwind trip my husband and I took to Orlando for the preview opening of Diagon Alley at Universal Studios. The invitation called for "evening resort" and this hat / outfit had to be a lot of things since this trip was also my first time meeting my husband's new business colleagues, and the first time my husband and I had been away alone since our daughter was born (no pressure)! I wanted to have a fun night out exploring the world of Harry Potter while staying comfortable, cool and looking cute. And I think I nailed it! A quick Vespa photo before we head to the park. 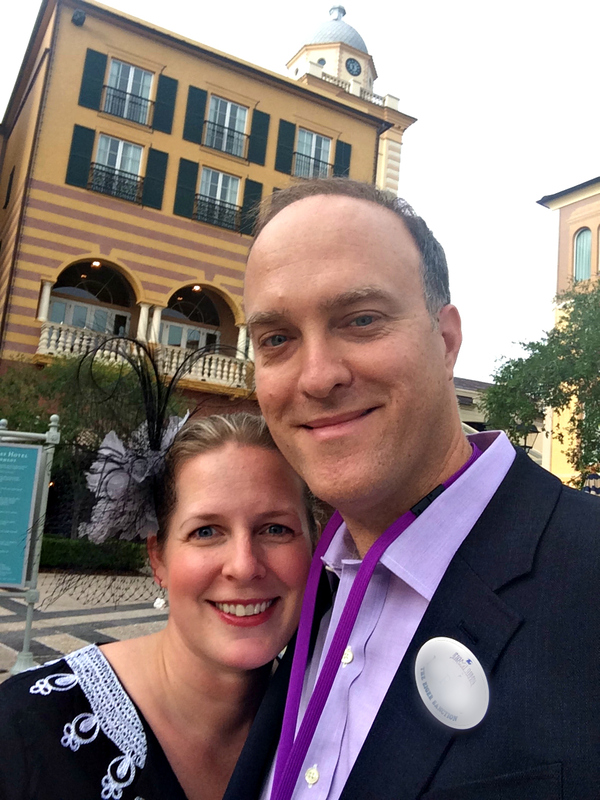 I chose to make a simple fascinator, a smaller version of our popular "Jasmeen" on a headband (perfect for keeping my hair in check in the Florida humidity) that left my face open so I could converse easily. Plus, it was easy to pack for a cross-country flight. I kept it on the petite side so as not to overwhelm the hat-less! I kept the rest of the outfit simple so it all felt effortless, and the best part was I was not the only one in a hat! A lot of the characters in Diagon Alley had fascinators and hats as part of their ensembles. It turns out the costume designer from the Harry Potter movies, Jany Temime, also designed the costumes for the theme park. The hat was a hit all the way from Los Angeles to Orlando, to Kings' Crossing to Diagon Alley! A night out at Diagon Alley.